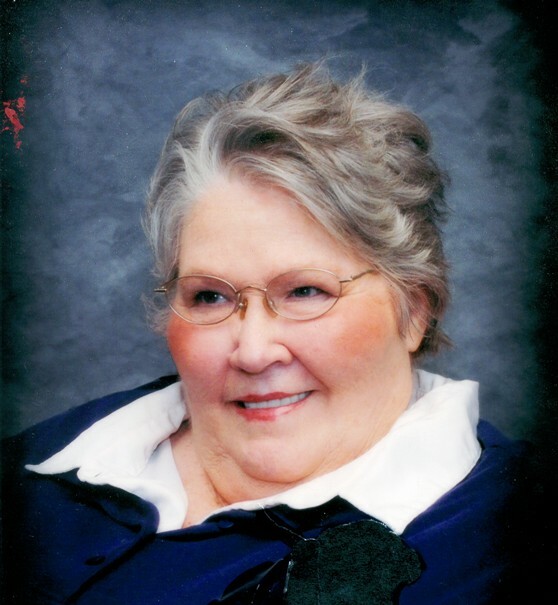 Reta Mae Guthrie, age 79, of El Dorado Springs, Missouri, passed away December 8, 2016, at Community Springs Nursing Home, surrounded by her loving family. She was born November 24, 1937, in Lamar, Missouri, to Jessie Earl Harris and Olive Leona Hall. She graduated from El Dorado Springs High School in 1955. Reta married Eldy Richardson, Sr., who was known as the “BBQ King,” on May 12, 1957. She later married Billy H. Guthrie on October 3, 1993, and they loved traveling together. During her lifetime, Reta was Sunday School teacher and Avon representative. She also worked at the State Hospital in Nevada, MO. She enjoyed going to flea markets, playing bingo, and visiting with her family, but her grandchildren were the highlight of her life. She was also a member of the VFW Auxiliary in El Dorado Springs. Preceding Reta in death were: her parents, Jessie in 1966 and Olive in 1988; infant brother Ronald Eugene Harris; infant sister Zella Ruth Harris; brother Everett Lee Harris, in 2012; Eldy Richardson, Sr., in September 2008; and husband, Billy H. Guthrie, in December 1999. Survivors include daughter Tammy King and husband, Randy, of Stockton, MO; sons, Eldy Richardson, Jr., and Tina, of Henryetta, OK, and Charles Richardson, of Jerico Springs, MO; grandchildren: Stacey Turowski and Daniel, of Nevada, MO, Michael Austin and Janell, of Springfield, MO, Andrew Austin and Angela, of Stockton, MO, Nichole Bruce and Zayne, of Nevada, MO, Billy Richardson and Natalie, of Springfield, MO, Samantha, Maranda, and Erica Richardson of El Dorado Springs, MO, and Aaron Blauvelt, of Nevada, MO; great-grandchildren: Ayvun and Aldyn Austin, of Stockton, Lucas Turowski, of Nevada, Braxton Driggers and Zander Bruce, of Nevada; two brothers, Cecil Leon Harris, of Lamar, MO, and Robert Harris and Sandy, of Tulsa, OK; and Betty Harris of Milford, MO, widow of Everett Harris. Funeral services for Reta Guthrie were held on Monday, December 12, 2016, at Bland-Hackleman Funeral Home with Rev. Beau Norman officiating. Music was provided by Brian LeeMasters. Interment followed at Round Prairie Cemetery near Milford, MO, under the direction of Bland-Hackleman Funeral Home. Pallbearers were: Randy King, Billy Richardson, Richard Works, Michael Austin, Andrew Harris, and Jeffrey Harris. Honorary pallbearers were: Robert Harris and Mike McCollum.